I did not get a chance to go up to Northern Vietnam this year, but here are some of the highlights waiting for you in Southern and Central Vietnam. 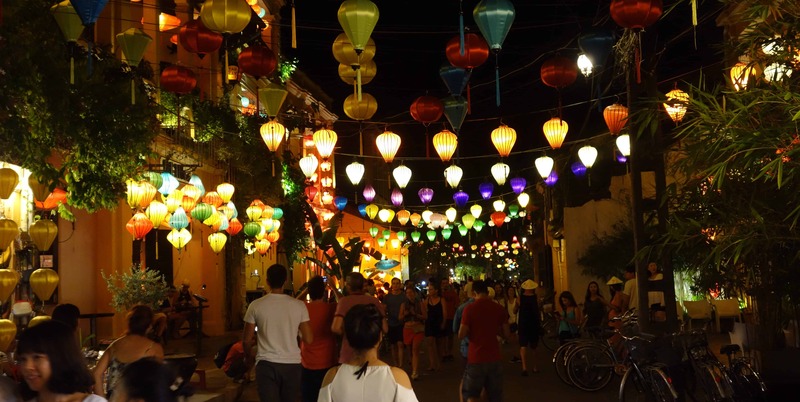 Hoi An is everything I always imagined Vietnam to be, especially at night. Yellow houses with wooden ornaments line the streets. At night, the city lights up with hundreds of lanterns. On the river, boats release lanterns for good luck and just across the bridge, a bustling night market waits to be explored. Hoi An is also beautiful during the day, when you can visit the interior of many Old Town houses and learn about traditional Vietnamnese life. 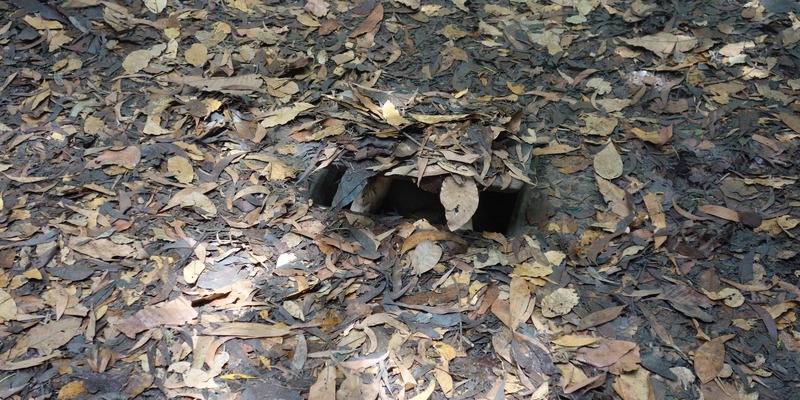 The Cu Chi Tunnels, located close to Ho Chi Min City, are a network of tunnels that the Viet Cong uses to hide in during the war. They are estimated to be around 250km long in total, some just below the surface and some several meters underneath the earth. We got the chance to climb into one of the original entrances to get an idea of how narrow everything was. Once closed, with leaves on top, it was impossible to spot its location. There is also a tunnel that has been widened for tourists, so you can experience yourself what it feels like to crawl through the network of tunnels. 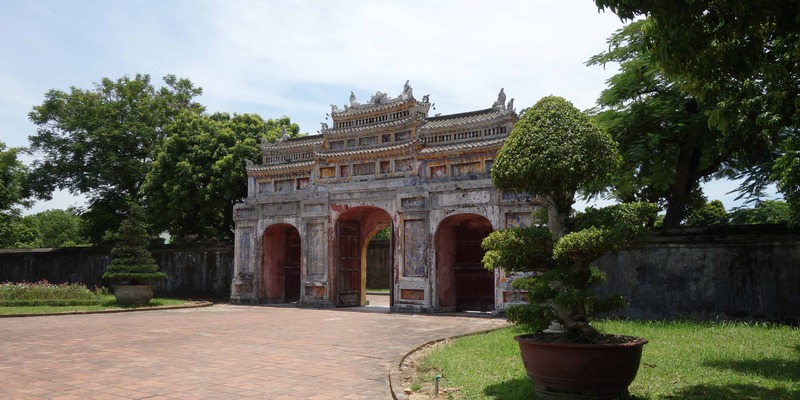 The Citadel in Hue used to be the Emperor’s residence. Taking up a large part of the city centre, it consists of many buildings and gardens. Some of them have been destroyed, some have been heavily damaged during the war, but others are still intact. It can easily take a couple of hours to walk through this Forbidden City, which is a must-visit for anyone coming to Hue. As mentioned above, beaches are a great way to relax from the chaos of the cities. 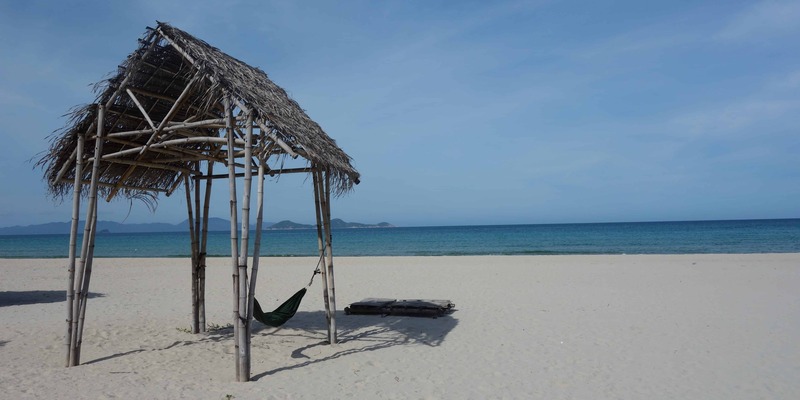 Vietnam has a lot of great beaches, some popular with tourists, some remote enough to give you privacy. We stayed at Jungle Beach, a basic but lovely resort with its own private beach. For a couple of days, our biggest worry was which hammock to relax in. When choosing your beach, ask about bioluminescence. In some places, when you go swimming at night, you can see plankton light up as you move around in the water. It is a truly beautiful natural phenomena. Vietnam is internationally renowned for its great food and coming here, you will have the chance to sample many great dishes. From local specialties, like the Hue cakes you can see above, to pho, Vietnam’s national dish, you will never run out of things to eat. Marble Mountain, located close to Da Nang, was a great surprise. I did not know anything about the place and for a moment even wondered if it would be worth it. It was. 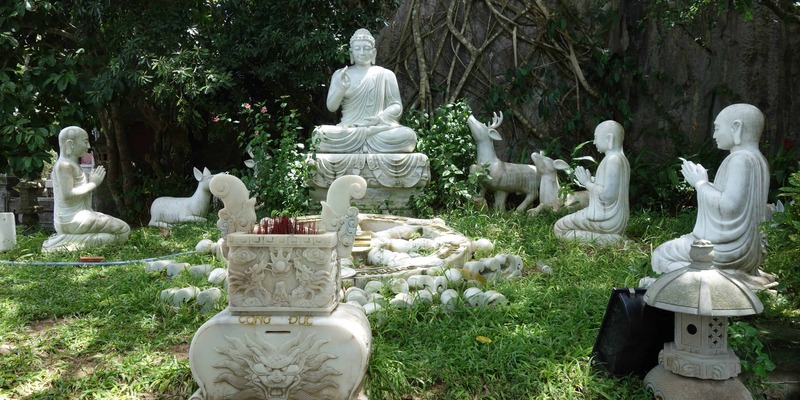 Located on top of the mountain, you can find beautiful temples and marble statues. The area was larger than I had expected. We spent a long time at the first temple and then rushed to see the remaining ones, each beautifully decorated with marble. 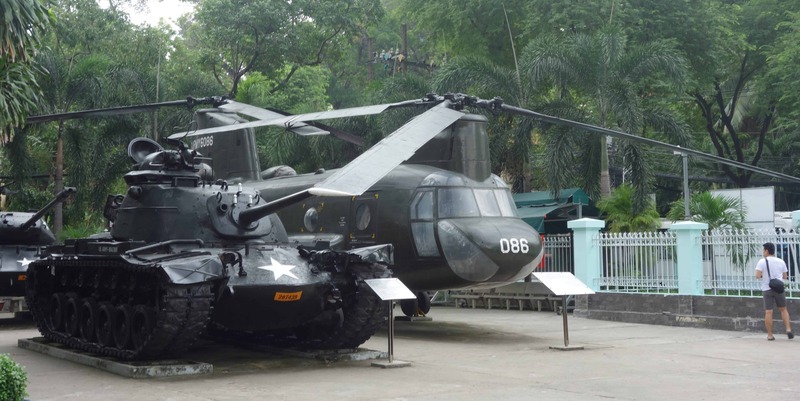 The War Remnants Museum in Saigon is one of the city’s most important museums. Here, you can learn about the Vietnam war. While the museum mostly displays the Vietnamnese side of events, it still gives a good overview of the horrors of the war and the long-lasting consequences. Once you have looked inside the building, go outside and wander in between the tanks and helicopters. Also, make sure not to miss the prison exhibition located next to the main building. 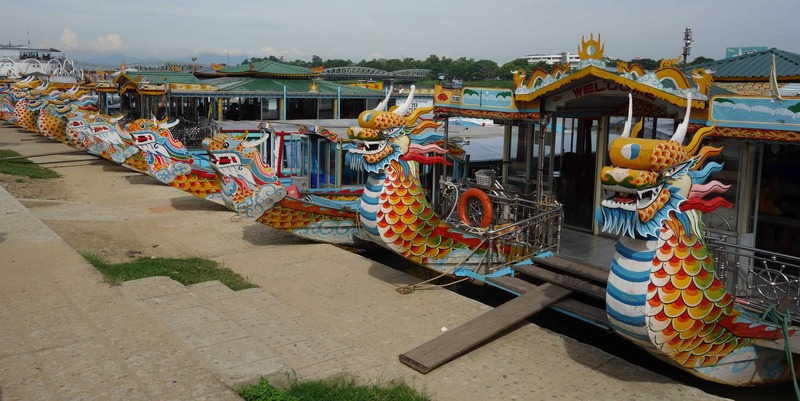 The Perfume River runs through the city of Hue. Standing on one of the bridges, you will see dragon boats going up and down the river. I highly recommend you go on one yourself. Our trip took us to a garden house with beautiful Vietnamnese wooden architecture and to Thien Mu Pagoda, one of the symbols of Hue. In the end, we stopped at a temple before having lunch on the boat. 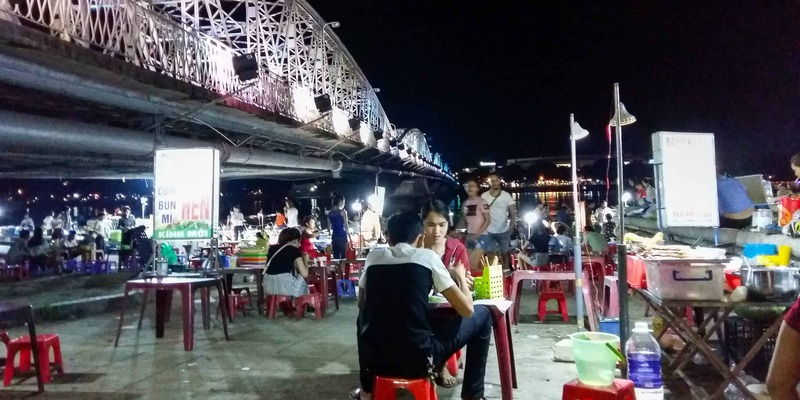 Night markets are common everywhere in Southeast Asia and Vietnam is no exception. They offer great opportunities to buy souvenirs and try local specialties from streetfood stall. Food is often cheap and of high quality and you will see both locals and tourists alike come here for dinner. 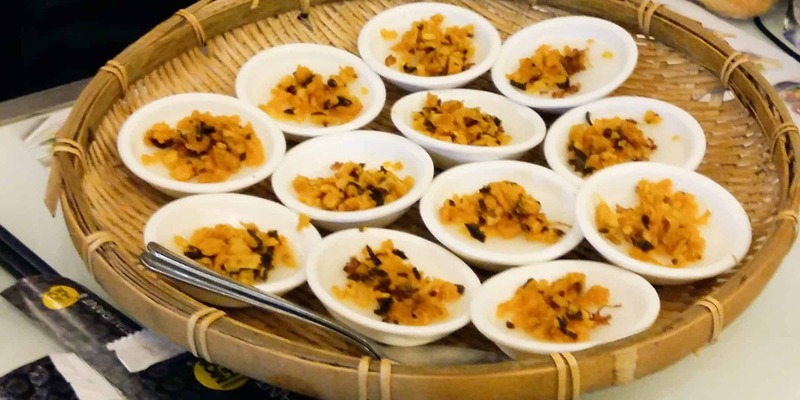 What better way to learn about Vietnamnese food than by taking a cooking class? I did one in Hoi An a couple of years ago and I still enjoy making the dishes I learned back then. There are many opportunities in Vietnam to learn how to cook. Good classes include a market tour so you can learn about local ingredients before using them in dishes afterwards. Also, most classes will give you a booklet with the recipes so you can recreat the food back home and prepare it for friends and family. Of course, there is a lot more to do in Vietnam than just those ten items I picked. You could explore the jungle temple of My Son, relax at a cafe or visit the tombs outside Hue. The possibilities are almost endless.